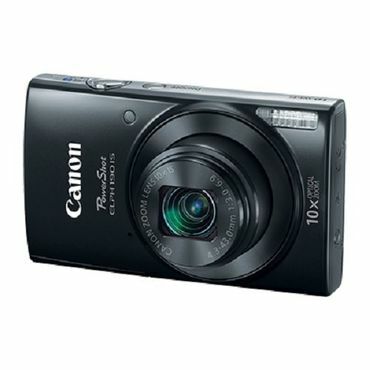 For ease of use and features that no smartphone can match, Canon makes the best basic digital cameras. Need to shoot something a mile (literally) away? Then look to Nikon. And if you plan to take your camera places where other cameras would fear to tread, Olympus makes one tough customer. Our report also focuses on more sophisticated cameras, including cameras that blur the line between digital cameras and true DLSRs. Specs that Matter Resolution -- 20.2 megapixels Zoom -- 25x optical, 4x digital Weight -- 6.42 oz. The Canon PowerShot SX620 HS packs a ton of value into its diminutive body. About the size of a deck of cards and just an inch thick, the SX620 HS comes loaded with a 25x zoom lens that'll let you shoot close-ups -- even from the far end of the auditorium or soccer field. The 20.2-megapixel sensor delivers impressive snapshots, even in low light. Built-in Wi-Fi and NFC make it easy to share photos and full 1080p HD videos. Specs that Matter Resolution -- 20 megapixels Zoom -- 10x optical, 4x digital Weight -- 4.87 oz. The Canon PowerShot Elph 190 IS is cheap, tiny -- and its 10x zoom lens will get you closer to the action than any smartphone. Just slightly bigger than a business card and less than an inch thick, the Elph delivers up to 245 shots or 50 minutes of 720p video on a single battery charge. Image quality won't impress those looking for perfection (especially in low light), but it's more than good enough for quick photos on the go. Specs that Matter Resolution -- 12 megapixels Zoom -- 4x optical, 4x digital Weight -- 8.72 oz. 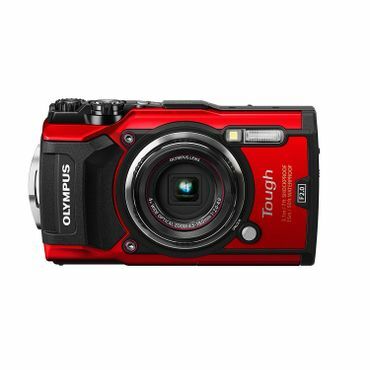 Swimming, boating, skiing, rock climbing -- for all those times you don't want to risk your smartphone, enter the Olympus Tough TG-5. Waterproof, dust-proof, drop-proof, crushproof and freezeproof, the TG-5 slips easily into a jacket pocket and delivers impressive photos and 4K video, even in low light. A 4x zoom lens, GPS and Wi-Fi are built in. Advanced features include RAW image capture, super-close-up macro mode and optional fisheye and telephoto lenses. Specs that Matter Resolution -- 16 megapixels Zoom -- 83x optical, 4x digital Weight -- 31.8 oz. With its astounding 83x zoom lens, the Nikon Coolpix P900 lets you shoot from literally a mile away. Shaky photos and video aren't a problem, thanks to Nikon's outstanding image stabilization. Handy built-ins include a swiveling LCD screen, eye-level electronic viewfinder, GPS, Wi-Fi and NFC. However, there's no RAW image capture, and low-light photos aren't great. The whopping zoom lens makes the P900 bulkier than most point-and-shoot cameras, too -- about as big as a DSLR. Specs that Matter Resolution -- 24.3 megapixels Zoom -- None Weight -- 16.5 oz. The Fujifilm X100F is simply a joy to shoot with, experts say. Beautifully retro and refreshingly simple, the X100F has a fixed 35mm-equivalent lens that delivers gorgeous images straight out of the camera, even in low light. The X100F isn't lacking in advanced features, though: RAW image capture, 1080p HD video, built-in Wi-Fi, robust manual controls and available conversion lenses (28mm and 50mm) satisfy enthusiasts nicely. Priced at around $250 or less, these digital cameras are good for beginners -- or anyone who wants a pocket-friendly, user-friendly point-and-shoot that won't break the bank. Some of these cameras are truly tiny -- a little bigger than a business card, less than an inch thick and, well, cheap. Although no camera in this category can compete with advanced cameras for professional-quality performance, you can get decent-quality photos if you pick the right one. Will the photos look better than your smartphone's? Probably not -- but even a cheap digital camera will have a dramatically longer zoom (and battery life) than any smartphone camera. Swimming, boating, skiing, climbing -- you won't want to risk dunking or crushing your smartphone, so that's where rugged cameras come in. Waterproof, drop-proof and freeze-proof, these tough cameras will let you capture memories worry-free. The best rugged camera we found sells for $450. Here's another feat smartphone cameras simply can't match. The longest superzoom cameras can zoom up to 83x -- you'll be able to literally shoot the moon (and study the craters in detail). Great for vacations and sporting events, superzoom cameras let you shoot everything from wide angles to extreme close-ups. The best superzoom we found costs just under $700. These workhorses deliver better-quality photos than cheaper digital cameras. More significantly, they can handle challenging situations -- dim light, super close-up macros and fast action -- that stymie cheaper cameras. They'll also give you more control over settings, so you can get creative with your shots. Expect to pay $600 and up for the best advanced digital cameras. Also known as hybrid, bridge or mirrorless cameras, these have swappable lenses like bulky digital single-lens reflex (DSLR) cameras, but in a scaled-down package. Expect to pay $1,000 and up. At the top end of the range, performance -- and price -- can match that of a quality DSLR. If you are interested in a true DSLR camera, those are covered in their own report. The Canon PowerShot SX620 HS (Est. 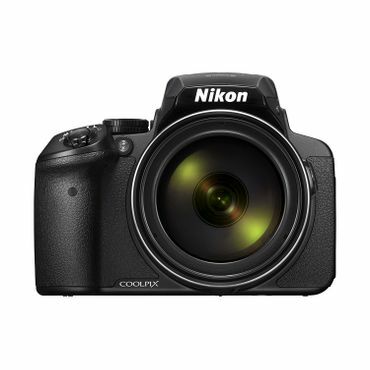 $250) packs an impressive 25x zoom lens into a pretty tiny body. About the size of a deck of cards and an inch thick, it won't fit into a skinny jeans pocket -- but it'll easily tuck away just about anywhere else. Experts and users say that among "basic" digital models, this Canon camera is a top choice. How long is 25x zoom? Long enough to zoom in on your favorite soccer player (even if you're at the other end of the field) or your kid's school play (even if you're sitting at the back of the auditorium). That's "a ton of reach in what is still a very compact package," says Ben Keough at TheWirecutter.com, where the SX620 HS earns the title of best cheap zoom camera. Owners love being able to carry such a long zoom around in their pockets, making the SX620 HS a customer favorite at Amazon.com and BHPhotoVideo.com. But this camera is more than just a pretty zoom: The 20.2-megapixel SX620 HS beats its rivals in low light, shooting better indoor and night photos in Keough's tests. Camera shake is quelled nicely, thanks to built-in image stabilization. Battery life is remarkable: Canon says it'll shoot 295 shots (or 405 in Eco Mode, which dims the screen quickly when the camera isn't in use) or more than an hour of 1080p full HD video on a single charge. The battery charger and a wrist strap are included. Keough finds the SX620 HS comfy to hold, with a rubberized grip around the front and a tiny thumb rest on the back -- niceties that you won't find on cheaper cameras. "It's not a huge difference, but it is more noticeable than you might think when it comes to long-term comfort -- especially if you have larger hands," Keough writes. A 3-inch screen (standard for this class) devours most of the real estate on the back of the camera, and built-in Wi-Fi and NFC (Near Field Communication) make it easy to transfer photos to your phone, tablet or computer. 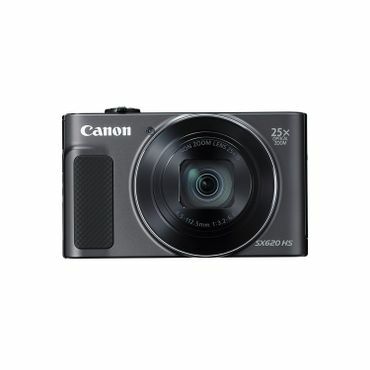 If the Canon PowerShot SX620 HS is a little too pricey for your pocketbook, the Canon PowerShot Elph 190 IS (Est. $150) is an excellent budget alternative. It doesn't match what's available on the SX620 HS, but the 10x zoom lens will still get you closer to the action than any smartphone. "If you want a small, affordable camera, this is the one to get," says Jim Fisher at PCMag.com, where it's the Editors' Choice cheap digital camera. Inexpensive though it is, the 20-megapixel Elph 190 IS packs an image-stabilized lens (for sharp, shake-free shots) and built-in Wi-Fi and NFC (for easy photo sharing). Video looks clear and steady, Fisher says, although it tops out at 720p. The tiny Elph is "the definition of a pocket camera," Fisher says: Just slightly bigger than a business card and less than an inch thick, the 4.9-ounce Elph slides easily into a jacket or pants pocket. A 2.7-inch LCD screen covers most of the camera's back. The Elph comes with a wrist strap and battery charger. Canon says the battery will last for 190 shots on a single charge (245 shots in screen-dimming Eco Mode) or 50 minutes of video. Owners praise the Elph 190 IS, awarding it 4 out of 5 stars at both Amazon.com and BHPhotoVideo.com. The biggest drawback? Low-light photos aren't its strong suit. Dim indoor scenes look smudgy in Fisher's tests, especially when the lens is fully zoomed. "So, yes, the Canon has a big advantage in zooming compared with a smartphone, but it's only useful in bright situations," Fisher concludes. The Olympus Tough TG-5 (Est. $450) can deep-dive 50 feet underwater, survive a 7-foot drop and 220 foot-pounds of pressure, and cheerfully photograph your freezing-cold ski vacation or ice-fishing extravaganza (14 degrees Fahrenheit is its limit). And underneath that tough exterior lies a truly terrific camera, experts say. "It's the best rugged camera you can buy," PCMag.com's Fisher sums up, naming it his Editors' Choice. The TG-5 replaces critics' longtime favorite rugged camera, the Olympus TG-4. This latest version adds advanced features -- including 4K video, rapid-fire 20 frames-per-second RAW image capture, and a 12-megapixel sensor that delivers remarkable low-light images. Imaging-Resource.com's Dave Pardue tests the TG-5 underwater, at dusk, indoors, playing football and in super-close-up macro mode, and comes away thoroughly impressed. "From my first impressions in the field, I can say that this is a bona fide enthusiast camera for the tough world," Pardue says. Despite its rugged body and sophisticated features, the TG-5 is no bigger than an ordinary point-and-shoot -- smaller than an index card and a bit over 1 inch thick, with a 3-inch LCD screen. The camera features a 4x zoom, but it can accept the Olympus Telephoto Tough Lens Pack (lens and adapter) (Est. $130), which extends the built-in lens' focal length from 100 mm to 170 mm, and the zoom to 7x. An Olympus Fisheye Tough Lens Pack (lens and adapter) (Est. $140) is also available. GPS and Wi-Fi are built in, and the TG-5 comes with a charger, micro USB cable and hand strap. Expect to get about 340 shots (or 50 minutes of video) on a single battery charge. A jaw-dropping 83x zoom lens makes the Nikon Coolpix P900 (Est. $695) the undisputed champion of the superzoom world. Experts caution that image quality isn't the greatest, but owners aren't complaining: The 16-megapixel P900 boasts hundreds of glowing reviews at Amazon.com and BHPhotoVideo.com, and online photography forums are full of frame-filling P900 close-ups shot from a mile (or more) away. "Being able to zero in on a bird that you can barely see ... with what is essentially a point-and-shoot camera is just plain cool," CNET's Joshua Goldman says. Pocket-sized, it's not: The P900 is as bulky as a DSLR camera with an ordinary kit lens. However, you'd need a DSLR lens the size of a 4-year-old child to match the P900's zoom -- so, in that sense, the P900 is amazingly compact. Shaky shots are a big drawback with long zooms, but Nikon's excellent image stabilization system keeps things nice and steady, experts say -- even when shooting full 1080p HD video. Low-light shots pose more of a problem. ISO 1,600 shots are "usable, if soft," Goldman says, but "the P900 is not a camera you'd want for indoor shooting." There's no RAW mode, either (unlike other cameras this expensive). Thoughtful extras include a flip-out, swiveling 3-inch LCD screen, eye-level electronic viewfinder and built-in GPS. Wi-Fi and NFC make it easy to share photos. The P900 comes with a neck strap, lens cap, micro USB cable and charger. Expect to get 360 shots per charge, or about 1 hour 20 minutes of video. Advanced digital cameras are a step above compact point-and-shoot models -- a bit heavier and bulkier, but with plenty of additional features and options for more sophisticated photography. They're also notably more expensive, appealing to the enthusiast rather than the casual user who just wants a basic camera for everyday use. 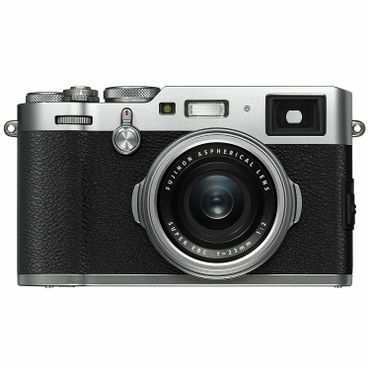 The excellent 24-megapixel Fujifilm X100F (Est. $1,300) has captured the hearts of owners and critics alike. It's "everything a premium compact camera should be," PCMag.com's Fisher says, "capturing SLR-quality images in a form factor that slides into your jacket pocket ... simply a joy to use." It's his Editors' Choice -- and a top pick at Amateur Photographer, DPReview.com, and TechRadar.com as well. It's well liked by users posting at Amazon.com and BHPhotoVideo.com, too. Petite indeed, the X100F is the size of an index card and about 2 inches thick, with old-fashioned rangefinder styling that critics find simply beautiful. The fixed 35mm-equivalent lens doesn't zoom, but you can buy a wide-angle 28mm conversion lens (Est. $330) or tighter 50mm conversion lens (Est. $325) separately. Experts love the intuitive dials and robust manual controls. The built-in flash does an admirable job, and a hot shoe lets you add an external flash if you like. You can shoot RAW images, but reviewers agree that the camera's pre-processed JPEGs look outstanding without any tweaking, even at ISO 3200. You can frame your shot using the hybrid eyepiece viewfinder or 3-inch LCD. Video is full 1080p HD, but the lack of image stabilization means footage can look shaky without a tripod. Built-in Wi-Fi makes it easy to share images. The X100F comes with a shoulder strap, lens cap, USB cable and charger. Expect to get 390 shots on a single charge using the optical viewfinder (270 with the electronic viewfinder) or one hour of video. If you prefer a zoomable lens, the 25x-zoom, 20.1-megapixel Sony Cyber-shot DSC-RX10 III (Est. $1,300) is the critics' choice. Bulkier than the Fujifilm, it's as big as a compact DSLR -- certainly not pocketable. But photo quality is nearly as superb, and the Sony does a better job with video: It records up to 4K resolution, and built-in image stabilization keeps things steady at all but the longest zooms. If you are looking for an advanced digital camera on a "budget," for less than half the price, the 20-megapixel Panasonic Lumix DMC-LX10 (Est. $600) is a fine alternative to the models above. TheWirecutter.com names it "Best Point-and-Shoot Camera" under $1,000, and it wins awards at DPReview.com and TechRadar.com, too. Small enough to slip into a jeans pocket, it packs a 3x short-zoom lens and 4K video capability. It satisfies serious photographers with excellent image quality and advanced features (including RAW image capture), although it lacks the sophisticated JPEG processing, eyepiece viewfinder, hot shoe and some of the manual controls you'll get on pricier cameras. Compact cameras with interchangeable lenses -- often called hybrid, bridge or mirrorless cameras -- occupy the middle ground between the digital cameras covered above and true DSLR cameras, which are covered in their own report. Unlike point-and-shoots and advanced digital cameras, which have permanently mounted lenses, you can swap lenses on a mirrorless camera for added versatility, but without all the bulk of a digital SLR camera. The Fujifilm X-T2 (Est. $1,900 with 18-55mm lens) scoops up just about every award in this category. "We're frankly pretty amazed," say editors at Imaging-Resource.com. They're not the only ones: The X-T2 earns PCMag.com's Editors' Choice award, DPReview.com's Gold Award, a perfect 5 stars at TechRadar.com, and TheWirecutter.com names it "the best mirrorless camera you can buy." The X-T2 makes no compromises, experts say. Its body is compact (a little bigger than an index card, and 2 inches thick) and beautifully retro. It's made from tough magnesium alloy, and meticulously weather-sealed -- not only managing to survive when Imaging-Resource.com's Pardue charges onto a South Carolina beach during Hurricane Hermine, but shrugging off blowing sand and pounding rain to capture striking storm shots, plus the glorious rainbow and sunset afterward. "A professional powerhouse," Pardue concludes, thoroughly impressed. Stunning 24-megapixel images, 4K video, deft handling, a handy swiveling 3-inch LCD plus electronic viewfinder -- critics have a hard time detecting any flaws in the X-T2. Available lenses are "awesome," Pardue says, and autofocus is speedy and sophisticated. It does lack a built-in flash, but Fuji includes a clip-on flash in the box (along with a covers for the hot shoe and lens mount, shoulder strap and charger). Expect to get 340 shots or 40 minutes of 4K video per charge. Of course, the X-T2 carries a pretty stiff price tag. For nearly half the cost, the Fujifilm X-T20 (Est. $1,000 with 16-50mm lens) keeps a lot of the T2's "guts." You'll get the same 24-megapixel sensor and 4K video, with a similar autofocus system, electronic viewfinder and tilting LCD -- even adding a touch screen, which the T2 lacks. "True, sacrifices have been made compared with the X-T2," says Phil Hall at TechRadar.com. "There's no weather-sealing, the magnification on the EVF isn't as good and there's only a single card slot, while the buffer won't let you shoot for as long." If those aren't deal-breakers for you, experts and owners heartily recommend the X-T20. We found outstanding digital camera tests at ImagingResource.com, Amateur Photographer, DPReview.com, TheWirecutter.com, CNET, TechRadar.com, PCMag.com and TomsGuide.com. ConsumerReports.org compares dozens of digital cameras in different categories such as compact point-and-shoot cameras, advanced digital cameras, and mirrorless cameras, rating each model for image quality, ease of use, LCD quality, video quality, viewfinder, and other performance indicators, in addition to noting key features such as megapixels and battery life. We turned to Amazon.com and BHPhotoVideo.com for feedback from owners on performance in real-world conditions.